Thanking your clients is, or at least it should be, a big part of your business. Throughout the whole year, you should be trying to find ways to show your clients how much you value their business because after all, these are the people who have helped you to succeed! The most effective marketing method is said to be happy clients, so not only will showing gratitude to your existing clients make them want to do more business with you, but it will also cause them to refer others to you as well. As Christmas is just around the corner, we wanted to show you the best way to thank your clients (as one method is significantly more effective than the other!). Taking a step away from Christmas for a second, I want you to think about your birthday. Think about how many ‘Happy Birthdays’ you get on your Facebook page – 10, 50, 100? Whatever the number might be, take a rough guess. Now, I want you to think about how many actual birthday cards that you get. How do you feel about the cards versus the digital wishes? You might just get 1 or 2 cards or 10, but I bet you remember every one of those people that got you a card. The same concept applies to Email wishes in business as well. 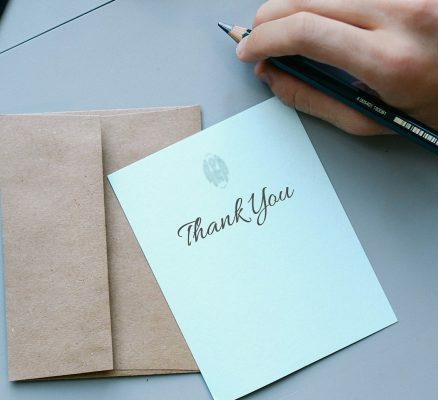 When thanking your clients at Christmas for example, do you follow the crowd and send out emails or do you opt for the more personal touch and show them that they mean more to you with a printed card? We can all send out an email of a dancing elf. We can all copy and paste a generic Christmas message and bcc our whole client list and press send. Boom, done. In just 10 minutes of our time. But this doesn’t make an impact and what many don’t know, is that this reflects your lack of effort too. 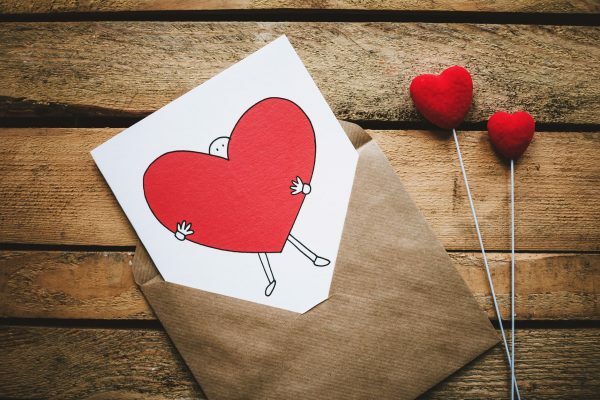 Showing gratitude and making your clients feel valued is an essential part of The Client Journey, especially stage 3 (see the full journey in our blog ‘Why is your print marketing not working? Do you consider The client journey?’). Stage 3 is where you need to KEEP your existing clients by strengthening your relationships and building loyalty. Here, you need to be visible to your clients as much as possible, staying front of mind and establishing yourself as the go-to-expert until they need your product or service and think of you. Print is the best way to do that. 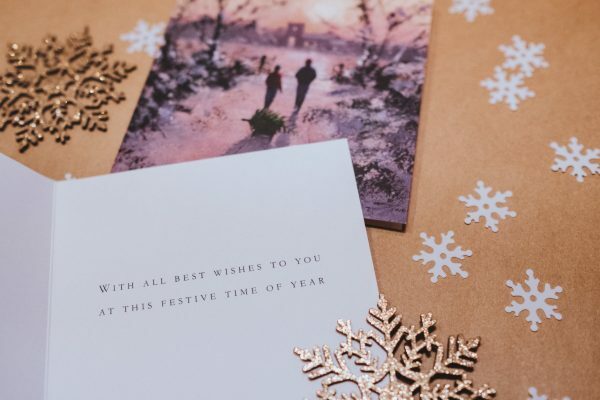 Let’s look at printed Christmas cards and how they make more of an impact with your client than email. By standing out from your competitors, evoking actual emotion in your clients and staying in front of them for long periods of time, you are showing your clients how much you value them as well as their business and they will remember you for it. This makes an incredible impact, as emotion influences our decisions, and making an impact gets results. So, what do you think? Do email wishes actually damage your reputation rather than do good? We feel that emotion is lost in digital methods and without emotion and authenticity, we can’t build relationships with our clients anywhere near as well. Plus, nowadays, we just don’t have the time for digital distractions. Most things online are skim read to determine their importance and anything that doesn’t warrant our focus or attention or even our interest is immediately deleted. With printed Christmas cards, they can’t be deleted. People keep them for a while because they mean something. They make much more of an impact. Whether you personalise digital cards and print them or you hand write every one, aim to create something that sets you apart from others. The more different you can be, the more you will be remembered for it. 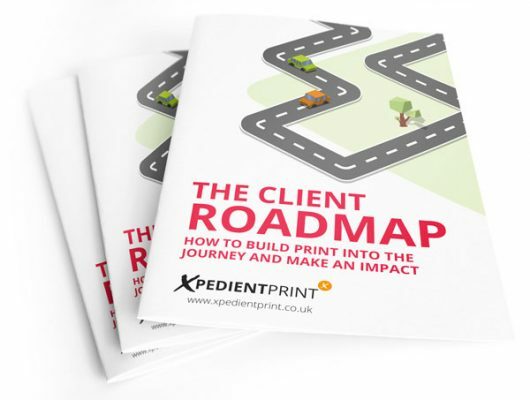 If you need help creating powerful print, please get in touch, and if you want more information on The Client Journey and how to use it to create effective print, download our FREE book and the full Client Roadmap here. Business Cards and why they still matter . . . !